Jean Monnet, the inspirator and leading architect of the project, had to fight to overcome resistances, conformism, habits, and impose the foundations of the Community architecture and method. This quote is taken from an article by Franck Biancheri of 19 October 2001 “Switching from EU to Euroland Daring the future” (you can read an extract below). In this article Franck Biancheri expresses all the esteem he had for the Founding Fathers of Europe, these “great men” and more particularly Jean Monnet. We are proud and happy that today his archives have found their way into the Jean Monnet Foundation for Europe in Lausanne, alongside the one whose power of imagination, intellectual audacity and political tenacity he admired, qualities in which he believes we must seek the message they have left us, and from which he has drawn his inspiration for his own struggle for the democratisation of Europe and his own battle for Erasmus, as one of the founding father of the programme. The donation agreement will be signed on March 22nd, we can only be heartly moved and grateful to the Foundation for inviting him to join their pantheon. Those whom novelty make anxious should not worry. Those current forms of the European construction which they are familiar with and which reassure them, result from radical breaks from the past or the present. Contrary to what think or say the disciples of all sorts, ” great men “, ” founders “, ” leaders “, have an essential capacity to “envisage ruptures”, they do not cling to pre-established schemes, they can free themselves from a dominant thought, they are able to see the future without being blinded by the present and even less by the past. And indeed the founders of the European construction were great men. Jean Monnet, the inspirator and leading architect of the project, had to fight to overcome resistances, conformism, habits, and impose the foundations of the Community architecture and method. No doubt that he would be appalled today (eventhough maybe not surprised) to see the lack of imagination used to think the future of the European construction; the lack of audacity of the leaders; the terrifying conformism of these European institutions supposed to “shed light on the way”…; all of seem content to turn around the institutions and methods inherited from the 50’s, desperately seeking for the keys to the European 21st century. He knew how to put together the riches of Europe then which control divided and opposed the States. Today, these riches are no longer our coal or steel, but our human resources (the grey cells) and our new technologies. It on these tracks that we should follow the inspiration of the Founding Fathers; it is in the power of their imagination, in their intellectual audacity and in their political tenacity that the message they left us should be sought for.. There it lies, the key to the future… not in the institutional forms nor in the dated treaties. A good illustration of this is provided by the recent contribution of former French President Valéry Giscard d’Estaing in the newspaper Le Monde, where he states the fact that Jean Monnet himself found useful to create the European Summit initiated by Valéry Giscard d’Estaing. This shows that Jean Monnet himself was certainly not a prisonner of the model he had invented in the 50’s. But the disciples (fake or true) always prefer to manage the heritage rather than undertake to reinvent the process. Founders are usually prefered in their momified form rather than as living spirits. As when it comes to the European construction today, it is clearly the case. Read also: Happy birthday, Franck! 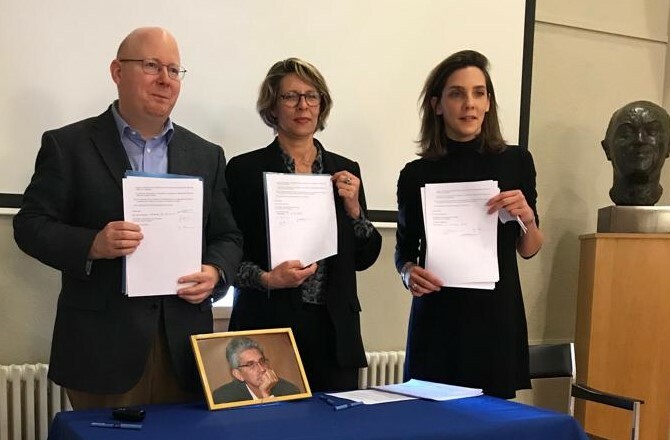 We are currently taking an important step forward in the process of recognising Franck’s immense contribution to European history thanks to the Jean Monnet Foundation for Europe, which has done us the honour of welcoming the archives of Franck Biancheri alongside those of Jean Monnet. 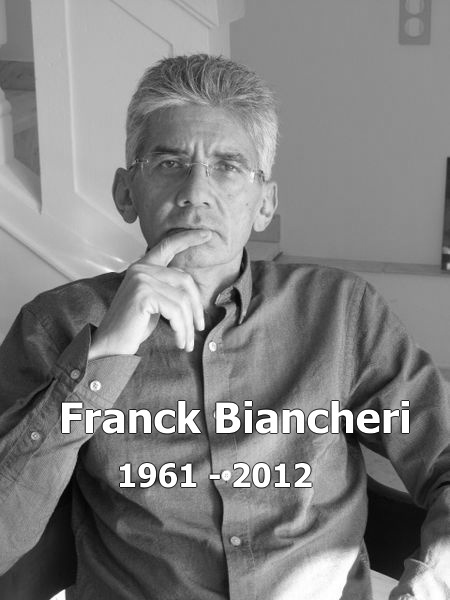 The signing of the agreement to donate our archives will give rise to a small solemn ceremony at the Foundation’s premises in Lausanne on 22 March, in the presence of her daughter Carla Biancheri, and to which those who would like to join are welcome to make themselves known (info@franck-biancheri.eu). Happy birthday, Franck!